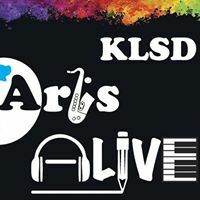 Minutes: KLSD ArtsALIVE Board of Directors Meeting October 9, 2018 – KLSD Arts Alive! Julie opened the meeting by thanking Vinnie Bell and Maureen Birmingham for their fantastic execution of Music on the Lawn during JJ’s Homecoming. She also mentioned the successful partnership with JJ’s Sports Booster Club and shared there would be future opportunities to collaborate with this group. The minutes from the September 12, 2018 meeting were accepted by Maureen Birmingham and seconded by Amanda Godsoe. In response to a question regarding the Children’s Choir, Julie explained KLSD ArtALIVE will need to pay music director and accompanist. There will also be expenses related to choir t-shirts and a photographer. The choir registration fee can help offset some of these expenses. To date, there are 63 KLSD ArtsALIVE members. This is 10 more members than last year at this time, however the overall balance is less. It was discussed that more people may be choosing to join at the lower membership levels; these lower levels were not offered last year. 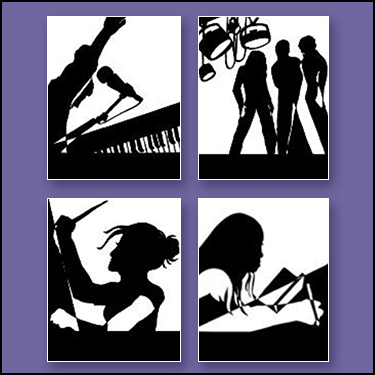 The second KLSD ArtsALIVE newsletter was recently distributed. The board discussed potentially getting submissions from the students to diversify the content. There will also be a Director’s Note in each issue regarding upcoming performances. Co-President Colleen Cerami noted that the KLSDAA Student Board is still in need of representative from Reflections. The group also collectively acknowledged and thanked Andrew for all his outstanding work on the newsletter. Julie asked all in attendance to help promote the upcoming Smart Art inaugural discussion scheduled for the following evening (10/10/18). To date, approximately 30 people have registered. In response to a request from Liz Gebbia, Vinnie Bell said he would have details about the event added to the next morning’s daily announcements. A discussion ensued regarding challenges of having KLSDAA communications added to backpack mail or other district-wide channels. Vinnie noted there has not been an official district policy stating what can be communicated through the schools; this lack of consistency in policy over the years has caused confusion. He added attorneys for the district are now getting involved in helping to formalize these policies. There was also a discussion about KLSD’s Principal’s Meetings. Vinnie reported that he cannot attend these meetings. Julie noted that other local districts have arts representation at these types of meetings and asked if we can explore getting representation. Julie summarized a recently submitted grant request involving a forensic artist who worked for the NYPD. The program would include a presentation and workshop and would highlight the connection between creativity and forensic art. Forty students would be taught how to create a composite sketch. The total grant request is $850. This request has been made in previous years and the artist charges a flat fee despite how many students may attend. The group discussed the possibility of funding a portion of the request, rather than the full $850, as the Arts in Education fund from BOCES could also help cover a percentage of the cost. Julie also noted the board should consider the return on investment for KLSDAA when funding these programs in terms how many students overall are enrolling in arts courses. Kathleen Fay asked if art students are invited to attend the workshop as they seem like a good audience for this type of presentation. Following additional discussion, the group then decided more information was needed before taking a vote on the grant request. This item was tabled. While public attendance totaled only about three people, Liz expressed the value of attending a BoE meeting both as an ArtsALIVE representative and as a parent. She also suggested that board and committee members go to the BoE website and review the reports, especially those that highlight student involvement in the arts. Topaz asked if monies raised from a certain event, such as a holiday table at Lake Katonah, can be earmarked for arts initiatives at an elementary school. Julie replied that she did not think that would be an issue. Julie mentioned there are efforts underway to build a KLSDAA database since we no longer have access to ConnectEd. This is a tremendous, time-consuming task, but one that will be an important, long-term investment for the organization. There being no other business to discuss, the meeting was adjourned at 8:16 PM by Julie Oyen.